Adlib Museum is the leading software package for collections management and the online publication of collections data. Built on strengths such as decades of expertise in the field, comprehensive functionality and ease of use, Adlib is the natural choice for museum professionals. Over 1,600 institutions worldwide use our software, ranging from small independent museums to National Museums. Antenna International™ is the world leader in handheld audio and multimedia guides, as well as mobile applications, in the global cultural arena. Each year Antenna provides an engaging experience, both physical and virtual, for more than 62 million visitors on a variety of platforms and in multiple languages, helping them to make a lasting connection with over 450 of the World's most famous, fascinating and frequented locations. Founded in 1984, Antenna International™ is a global company with offices in North America, Europe, Middle East and Asia. A leading mobile solution provider with the software, hardware and expertise to help our enterprise customers solve their mobility challenges. We are comprised of a dedicated and experienced team who are well positioned to collaborate with our customers to develop and provide cost effective mobile solutions across a wide spectrum of technologies and industries. We understand the challenges our customers face in an ever-changing mobility landscape. Athena strives to deliver solutions to our customers that allow them to achieve the operational, financial and business advantages needed to compete and thrive in today’s market. The vision for Cross Design Group is to provide the ability for museums, historical sites, and cultural organizations to offer their visitors interactive virtual experiences. Our services can be used as a way to re-create locations which are no longer accessible to the general public, to promote collections that are not currently on display, to create a richly interactive environment for completing partial collections, and a means to include persons with disabilities. Exablox is taking a clean sheet approach by developing an innovative cloud-managed scale-out storage solution for businesses’ valuable unstructured data. Extensis® is a leading developer of digital asset management solutions for the heritage and culture market. Digital Asset Management Systems help museums, galleries, and cultural heritage organizations manage digital assets such as photographs of collection objects. By combining DAMS with CMS, institutions can provide an efficient and comprehensive collection information solution. Institutions across the globe, including the The Courtauld Gallery (UK), National Gallery (UK) American Museum of Natural History (USA), The National Trust for Scotland (UK) and Royal Botanic Gardens, Kew (UK) all use Extensis solutions to manage their collections. The invention of mp3 won Fraunhofer IIS worldwide recognition. Now we have developed awiloc®, a seamless indoor/outdoor positioning solution for mobile devices. Providing continuous 3D positioning, multimedia guides equipped with awiloc® create an entirely new museum experience. GuideOne is transforming the way museums and brands connect with their audience through simple and elegant mobile and tablet apps. Our design experience, technical capabilities and strategic planning help make content more accessible and create new opportunities for visitor engagement. We design each solution around the specific needs of the institution and allow them to manage content to maintain relevance. Our clients include: Longwood Gardens, National Park Service, Smithsonian, The Metropolitan Museum of Art and The Inupiat Heritage Center. Immediatag, LLC is a software startup based in Austin, Texas. We help cultural institutions use mobile technology to engage and educate visitors of all ages and backgrounds. Our main product is a mobile content platform that makes it easy for anyone to create web pages that look great on smartphones and tablets—no HTML or programming required. Such a platform is particularly useful for educators, curators, and other subject matter experts who would like to engage audiences via a mobile experience but lack the time, budget, or technical skills to build mobile web pages from scratch. Mazedia created Wezit platform. The first Transmedia software for interactive applications. Wezit have an ecosystem softwares : mobile, multitouch program, gaming for education are available for a compatibility with the platform. You can create, too, your own program connected with the platform for a transmedia experience. Mazedia invests 8% of his turnover in research and development. 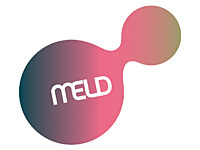 Meld Media is a design and technology agency specializing in story driven experiences for cultural and entertainment production clients. We strategically create moving experiences that inform, educate and entertain. Our leadership brings a combined 25 years of experience at the forefront of new media production. Working with a talented team of directors, designers, producers and developers, Meld has award-winning expertise in motion design, live-action direction, 2D and 3D animation and software production, which we draw on to create engaging and transformative interactive experiences. In other words, we make magic happen. The Museum of Future Objects will offer audiences their first glimpse into the future at Museums and the Web 2013. MoFO will introduce their vision that includes going beyond sustainability into the realms of free energy; using smart devices to witness fluctuations in time and space; and demonstrate how relativistic physics can open up new worlds for museum collection, exhibition and conservation. This is the future of reality! 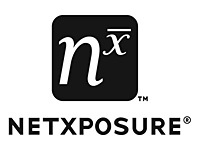 NetX is an expert solution provider in Digital Asset Management, and its enterprise software is utilized by many of the world’s largest brands. The core NetX application is offered both as a cloud-based service, and an on-premise solution. The company is singularly focused on solutions for enterprise management of digital media. NonProfitEasy® enables small nonprofits (or mid to large nonprofits with lean staff) to manage stakeholder relationships (volunteers, donors, staff, board, government agencies, service partners and more) within one simple to use, integrated application. More than a CRM, NPE is a robust program created from the ground up specifically for nonprofits by nonprofits and can help museums manage everything from tours and reports to memberships and docent schedules - and all points in between and beyond. NOUS Knowledge Management develops and distributes multimedia exhibition guides for arts and cultural institutions. With customized concepts, websites and apps, as well as technological innovations such as state of the art augmented reality, NOUS creates an advanced museum experience for your visitor. NOUS uses the Fraunhofer ISS's wireless LAN positioning awiloc® as one of the multimediaguides' main features. Questor Systems is the developer of the acclaimed ARGUS Collections Management System. Joining forces with SydneyPLUS in 2010, it rebuilt and delivered a completely new and visionary solution. Unique to the industry, the new browser based ARGUS.net is a highly configurable and fully integrated software suite offering both a back-end collections management system and front end portal solution. Built-in features allow museum professionals to re-configure ARGUS.net as new cataloging requirements appear. Built-in portal-â€œweb site in a boxâ€-lets administrators deliver museum programs, exhibits, activities and collection information easily and efficiently over the web. Ruckus Wireless invented Smart Wi-Fi technology that, for the first time, brings range and reliability to unlicensed Wi-Fi environments. The company developed and patented several RF technology breakthroughs leverage miniaturized, software-controlled, intelligent antenna arrays and dynamic beamforming software that enable Wi-Fi signals to be constantly formed, focused and directed over the best performing signal paths at any given time. This technology is integrated into every system to ensure extended range and reliable signals that can be automatically adapted to environmental changes. Its patented Smart Wi-Fi technology steers signals around interference, obstruction and obstacles, ensuring unprecedented coverage and performance. Focus on your collections with Mimsy XG, a premier software solution from Selago Design. Free licensing is available to help promote your collections and broaden your reach. Multiple options seamlessly integrate with Mimsy XG to share your collections on the Web. We are experienced in connecting with cultural heritage organizations to help them select hardware, define workflow management, consult on data migration, and recommend options for deployment. 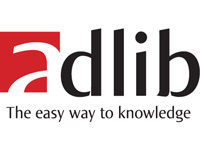 Selago Design is the exclusive North American distributor for Adlib Informations Systems' prestigious software suite. Together we can build truly adaptable and sustainable collections solutions designed to your specifications today! STQRY (pronounced "story") is a mobile platform that helps people all over the world explore, engage with, and discover fascinating stories. Visitors to a site may use their smartphones to further engage with any exhibit by either scanning the STQRY QR codes visible near each artifact - or by just browsing via the app directly to a particular story. 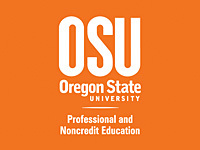 The individual stories are multi-media, including text, images, audio, videos, and/or links. A unique STQRY advantage: all stories are connected through our "Explore" mode, creating new avenues for attracting more visitors, engaging in area-wide promotions, and increasing revenue. TripAdvisor is the world's largest travel site, enabling travelers to plan and have the perfect trip. TripAdvisor offers trusted advice from real travelers and a wide variety of travel choices and planning features with seamless links to booking tools. TripAdvisor branded sites make up the largest travel community in the world, with more than 60 million unique monthly visitors*, and over 75 million reviews and opinions. TripAdvisor also includes TripAdvisor for Business, a dedicated division that provides the tourism industry access to TripAdvisor's millions of monthly visitors. when will an exhibitor list be published? Please check the list periodically for new additions.